Dr. Zoolittle introduces a brand new adventure in block form! Hold your horses, Zookeepers! You can only unlock 3 blocks a day so watch it unfold with time! 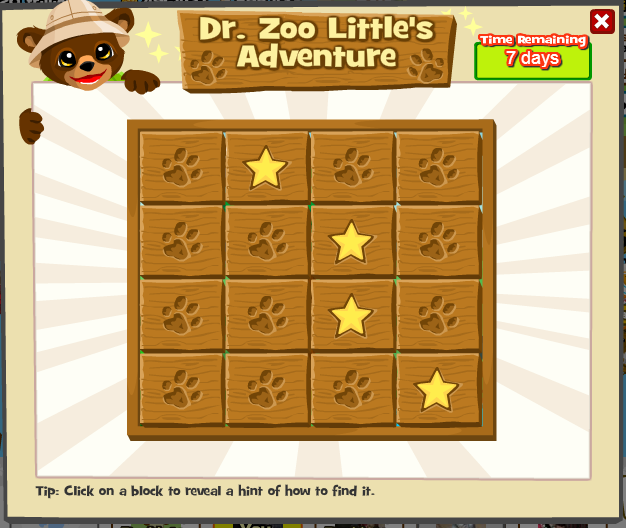 Completing the puzzle unlocks a special animal exclusive to this adventure!